The steering servo placement on the Willy Land Cruiser looks rather awkward. Is it a dual motor 4WD? I'm liking that Comical Landcruiser. Looks to me like a single motor mounted opposite the servo, you can just make out the power cables below. Looks like it's got a new 4x4 wheelie chassis too! Mmmm, a new TRF 4WD! 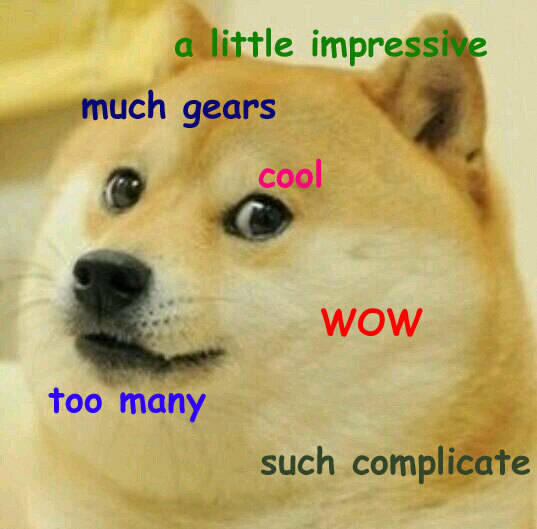 Oh wow mr T redesigned the WR02 gearbox into a WR04. Those wheels leave some room for improvement. Looks like a JennyMo creation to me! JennyMo, have you been designing for Tamiya on the side ? This is going to be popular me thinks. Those wheels leave some room for improvement. TamiyaBlog has a few photos of the show. The GF01 is a strange beast on the inside. And it appears the Alpine rally body is getting a reissue, although I don't know what chassis it's on yet. Thanks to JWeston for the heads up on Facebook. Buy these, I must ! I like the idea of a 4WD chassis this size... not sure on those wheels though as others have said... but the new little Landcruiser rocks! I've still got TLT wheels that will bolt right on. Yehaaaa TRF503. Looking forward to build this. 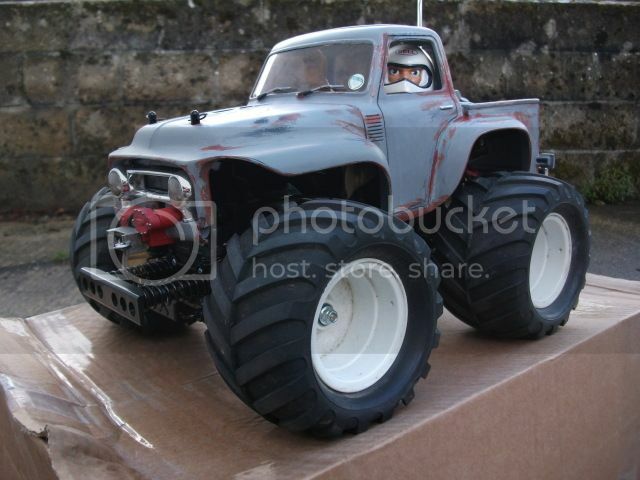 Although I welcome a new 4x4 fun sized chassis I think Tamiya have missed a trick here. It looks a little over engineered and I'm not keen on the steering servo placement, it'll limit other body fitting options. I wonder what steering mechanism they're using and how much slack it'll have? They could've gotten a similar short 4x4 by simply producing an official shortened TL01 chassis. It would only need 2 new plastic moulds of the chassis halfs and a shorter propshaft. In fact if they made its design similar to the M03/05 series with a front and rear section bolted together, they could've included a spacer section to allow the one chassis to fit multiple wheelbase lengths. Bolt multiple spacers together for longer chassis or a larger spacer that incorporates the battery cross wise like a M or TL chassis. Everything else would be sourced from TL, M or WW2 etc. The new chassis halfs could also address the lack of gearing options that the TL has or at least offer lower tooth pinion options . not sure on those wheels though as others have said... but this little Landcruiser rocks! Although I foresee two being bought as man, these cars are SOOOO much fun. That looks like only a single pinion option and more of those plastic bushings we all love. Love that FJ40 pickup body, I wonder what the wheelbase will be? Would look great on a scale chassis.